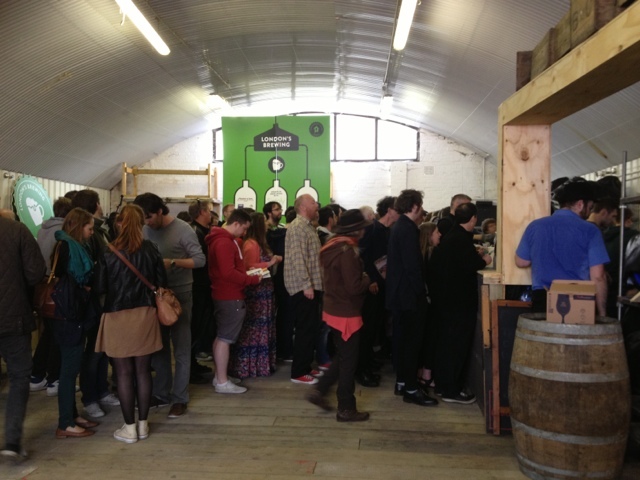 Just a quickie today with a summary of our favourite beers of this weekend's London's Brewing beer festival. A German style hefe-weizen and in this case a good solid wheat beer. It's what you'd expect for this style of beer with a slightly fruity funky flavour. Small amount of diacetyl on the nose. Full creamy mouth feel, not blowing me out the water, but certainly a very nice pint. An impressive Saison which has tasted better in bottle but here still shines. The rich and slightly sour malt notes are beautifully offset by the funky yeast character. We've been waiting a long time to taste Weird Beard's beers and here we were initially disappointed. It turned out they had the wrong and quite horrible beer on instead of the Mariana Trench we were expecting. But when we tasted the wonderful Five O'Clock Shadow we knew it was the real deal. Thick, deep and a thoroughly satisfying hop bomb. Tropical fruit and floral hop flavours are balanced with a solid malt foundation and well controlled bitterness. This is a clever beer that will impress anyone who drinks it. All in all we were really disappointed with this event. There was no beer list on the website (I like to plan my beers in advance to get the most from any festival). We arrived dead on 12 when the doors were due to open, and then were left standing in the rain for 45 minutes before they actually started letting anyone in. Given they'd opened an hour late on the previous (trade) day, this wasn't really a very good result. 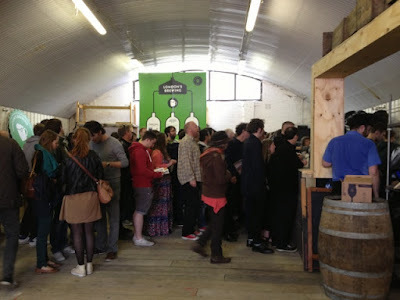 When were were finally let in we were confronted by a very small bar and a very large queue. In fact 'crowd' would be a better word than 'queue' - and it filled a good proportion of the small venue. I don't know if they'd underestimated how popular the event would be, but this event was really poorly organised. The bar was far too small for the number of beers they were serving, the bar staff didn't seem to know anything about the beer or what they were doing, and it took them an hour and a half to get the second bar open, which even when it had opened only had a small proportion of the beers available. Disappointing.